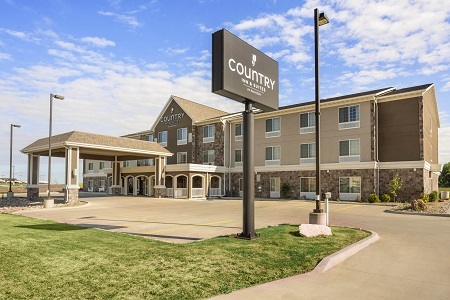 At the Country Inn & Suites® by Radisson, Minot, ND, you can hop right on U.S. 52 to reach destinations like Minot Air Force Base and Minot International Airport (MOT). 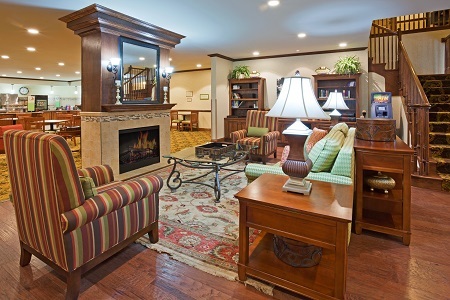 Take a few hours to unwind with retail therapy at Dakota Square Mall, less than a mile away, or treat the kids to an afternoon at Roosevelt Park Zoo, about 10 minutes from the hotel. Here for the state fair? The North Dakota State Fair Center is less than five miles away. Need more room for the kids? 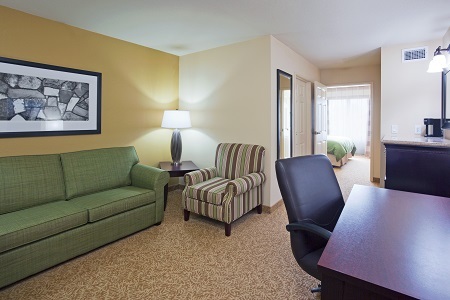 Book a One-bedroom Suite, outfitted with all standard amenities as well as a private bedroom and a living room with a sleeper sofa. 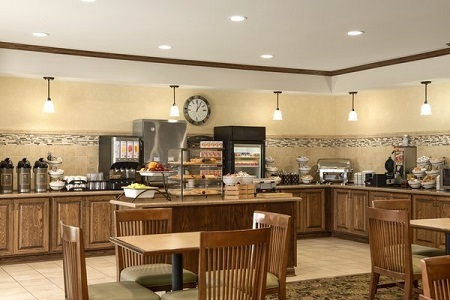 Give your family a few extra minutes every morning with a delicious first meal at our complimentary, hot breakfast. Options range from waffles and fruit to granola and oatmeal. When you’re ready for lunch or dinner, try a nearby restaurant like Homesteaders Restaurant, known for classic American comfort food. Be sure to sample the pheasant strips and smoked duck, two of the restaurant's most popular dishes. 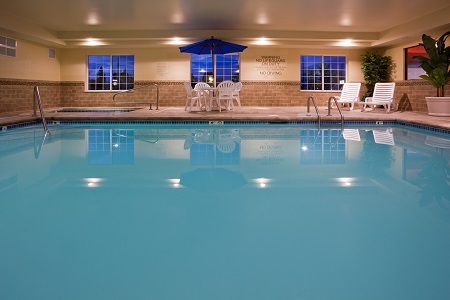 Dakota Square Mall – Less than a mile from the hotel, Dakota Square Mall is the largest shopping center in the area. After shopping, take the kids to the mall’s Splashdown Dakota Super Slides, the biggest indoor water park in North Dakota. North Dakota State Fair Center – From the largest Scandinavian festival in the country to expos celebrating the humble tomato, the North Dakota State Fair Center hosts year-round events just a nine-minute drive away. Don’t miss touring Pioneer Village, home to a fully restored log cabin and a collection of horse-drawn buggies and sleds. Roosevelt Park Zoo – Spend a morning with lions, wolves and monkeys at Roosevelt Park Zoo, less than four miles from the hotel. If you’re at the zoo on a weekend, stop by the giraffe exhibit during mealtime to hand-feed the giraffes.